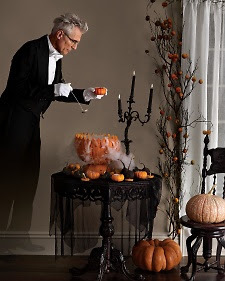 Host a spooky yet elegant Halloween gathering with colorful, bold table settings and decorations. These easy Halloween ideas are sure to impress even the bravest of guests. 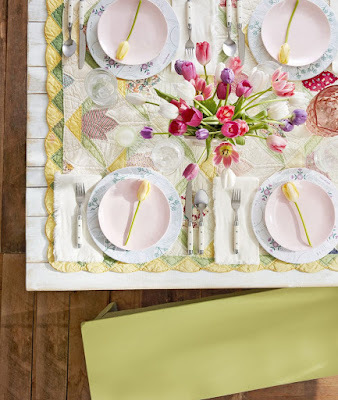 Put a spin on traditional Halloween colors with bright green and lace accents. 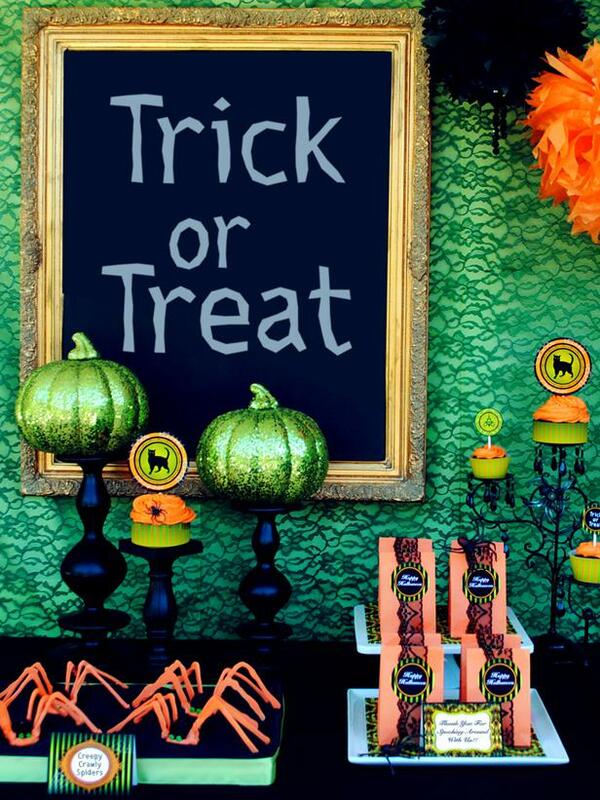 Attach inexpensive lace to the wall for an over-the-top backdrop, and write Halloween messages on a framed chalkboard. Bring an elegant look to the table by placing cupcakes on black candelabras and adding sparkle with green sequins pumpkins. For an inexpensive, easy party favor idea, fill a bright orange bag with Halloween candy and embellish it with lace, a plastic spider and a sticker. 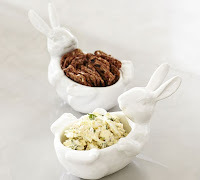 Carving pumpkins is one of the most interactive Halloween activities, so throw your own party filled with delicious treats and whimsical decor. 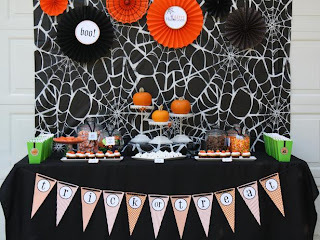 Set a playful spider web tablecloth as the backdrop and enhanced it with inexpensive paper Halloween fans. 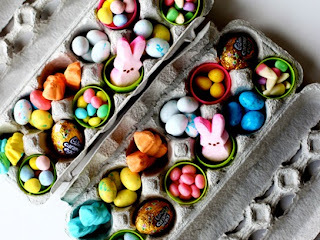 Find all the edibles from the local supermarket and customize with party printables found on the web. 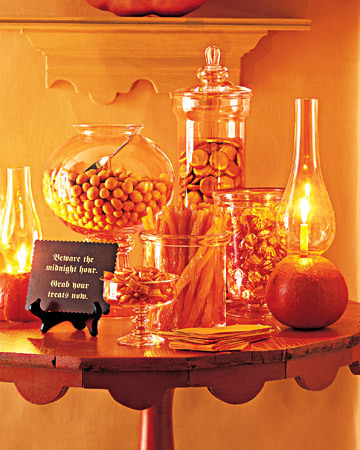 Set the pumpkins on cake stands to make them the focal point of the table. Fill this pumpkin vessel with dry ice for a smoldering display, or use it to serve punch (omitting the dry ice) and set it on a table surrounded by little pumpkins. 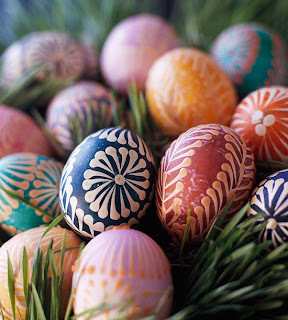 Use branches in an urn or flower pot and affix little pumpkin throughout. Create a ghoulish Halloween candy face with a variety of candy, but be sure to warn children not to eat the candy on the face. 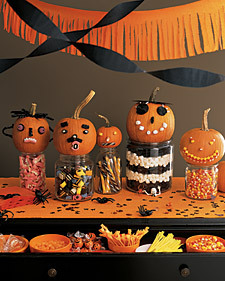 Whatever jar you fill, use that candy to decorate the pumpkin. Fill vases and hurricanes with snacks on the table and illuminate the table with pumpkin lanterns. Sugar pumpkins are small and have only the slightest ribbing. Those with flat bases are best. Thrill Halloween party guests with a tablecloth covered in a ribbon spider web -- complete with eerie painted white spiders. 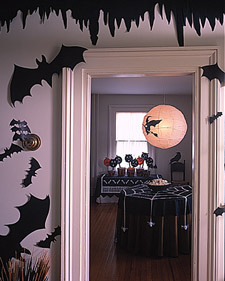 Adorn the rest of the room with card stock bats.